Calling all vegans, vegetarians and carnivores! Irregardless Café has something to satisfy all of your cravings! Since 1975, Irregardless has been serving up dishes straight from the garden. Not only do they offer vegetarian, vegan and gluten-free options, but they also have a variety of beef, poultry and seafood on the menu. Nestled between NC State University and Downtown Raleigh, Irregardless is a hidden gem. 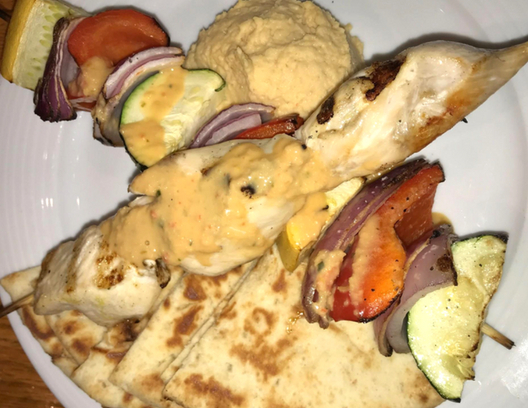 With a menu packed full of options, it took me a few minutes to choose what I wanted, but I finally decided on the chicken and vegetable kabobs. The garden-fresh vegetables and grilled chicken complimented each other perfectly and, to top it all off, warm pita bread and hummus were served on the side. At the front of the restaurant sat a humble stage that awaits local musicians. Each night, Irregardless welcomes a different artist. From jazz to rock to folk music, there is a genre for everyone to hum along to. Surrounding the stage, there are several beautiful paintings and flowers placed on every table. The atmosphere is cozy and provides the perfect setting to relax and spend time with friends and family. 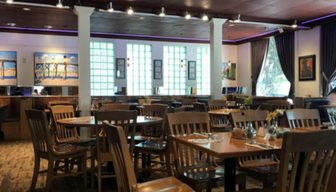 (Ir)regardless of who you are, you will find a sense of belonging among lovers of healthful food, live music, and local community at this quaint café.